The British Touring Car Championship descends on Brands Hatch this weekend for what is sure to be a thrilling title showdown between Italian flair and British dogged determination in the shapes of Fabrizio Giovanardi and Jason Plato. While it's these two who will rightly command most attention, the more widely-fought battle for the Independents Trophy will prove just as, if not more, fascinating as Colin Turkington, Mat Jackson and Adam Jones do battle. Giovanardi and Plato both have a chance of winning a second BTCC title, although one has a better chance than the other. Vauxhall driver Giovanardi lies 44 points ahead of SEAT ace Plato, and with only 52 available from the triple-header, the Italian will have to have his worst weekend of the season to wind up anywhere other than first. Giovanardi has been Mr Consistency this season. His five wins do not match up favourably to Plato's eight, but points in every one of the 27 races so far have been key, while Plato has struggled with the reliability of his Leon TDI and has recorded five non-scores. Giovanardi, though, is taking nothing for granted and said: "It is not over. It may be 44 points, but this is racing and anything could happen. My car could explode you know." While such an event is unlikely, the former world, Spanish, and Italian touring car champion will not have things his own way. Despite taking a double win at Brands back in March, and having two excellent teammates in the shape of two-time BTCC champion Matt Neal and Tom Onslow-Cole to back him up, he will have to carry the maximum 45 kilos of success ballast - which means that while the title is likely to come his way, he may have to settle for the top five, rather than the top step of the podium. 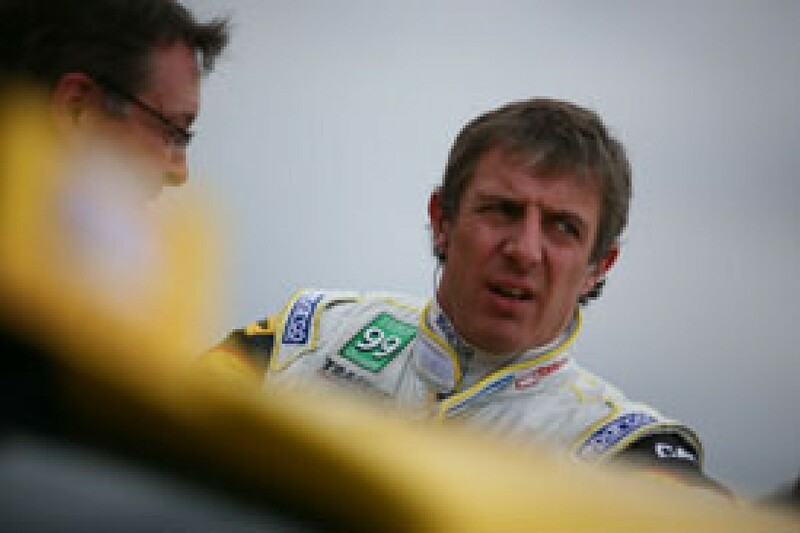 For Plato, the 2001 title-winner, top fives, or anything less than wins for that matter, will not be good enough, after mechanical failures robbed him of big points at Snetterton and Oulton Park, and set-up dramas did the same at Silverstone last time out. The combination of Plato and Leon tends to be rather good around the 1.2-mile Indy circuit. Five wins since the car's introduction in 2006 is more than enough evidence to suggest that he will be right at the front, as is the fact that he has been on the front row for the last four rounds and has the best qualifying record of anyone in the BTCC this year. "To be honest, the championship was over before the start of the season when we didn't get enough testing done on what was a brand new car to us in the UK," he says. "But there is still a mathematical chance, so we'll put on a good showing, hopefully, and you just never know." SEAT will be especially keen to see the title come their way as this weekend will be the manufacturer's last in the BTCC as a works squad before they withdraw from UK motorsport. Plato, though, who must now find a new drive next year, needs no extra incentive to go for it: "To say we'll be trying harder than ever is rubbish. We always do our very best no matter what the race, because we all want to win. It's the only way you can go about racing if you want to be successful." If you thought the battle for the overall title was interesting, then the one for the Independents' championship is riveting. At the start of the season the talk was all about the BMWs, with the rear-wheel drive 320s expected to make the running all on their own. With Mat Jackson taking pole for the opening round of the season on the Brands Hatch Indy circuit, the writing was on the wall, and so it has proved throughout the season, with the Englishman taking eight class wins and three overall - including a wonderful race three victory in wet weather at Silverstone last time out. Jackson, though, has been a victim of his own success. Lying in the top four of the championship for pretty much the entire season, he has had to carry success ballast into every round since Rockingham, which has affected his qualifying pace. He has not made it onto the front three rows since Brands. "For sure we're not happy with the way qualifying has gone this year," says Jackson, "but we've been getting our heads down and sometimes it's not too bad." If Jackson's qualifying pace has left him out of contention for regular race wins, he has at least got a better average starting position than all but one of his Independent rivals. 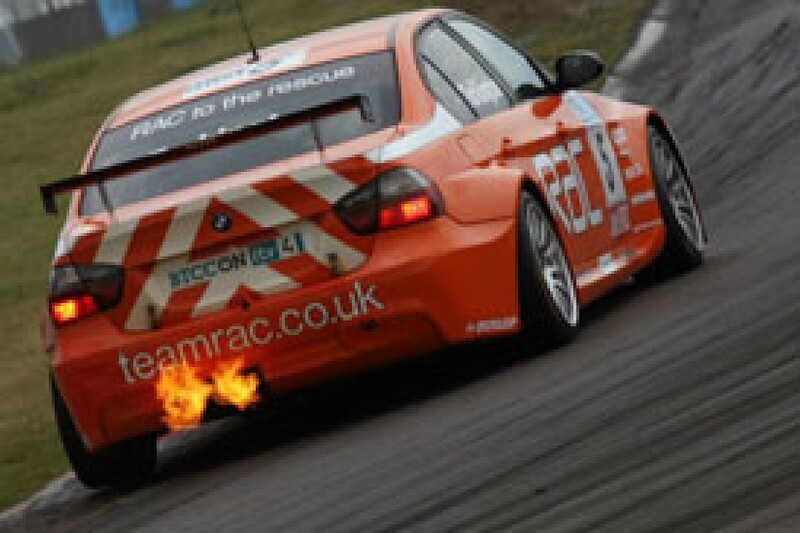 That is Team RAC's Colin Turkington, who has moved ahead of him in the standings, thanks in no small part to two mega mid-season weekends at Croft and Snetterton. Ten wins in the class mean that while he could well lose third in the overall standings to Jackson (he's only three points ahead), he leads by 22 in the Indies heading to this weekend's triple-header with just 45 to play for. "You never take anything for granted in this game," says Turkington, who is looking to become only the second man after Matt Neal to win back-to-back Independents titles. "We need to have a strong weekend. This is touring cars and you never know who might bump into you, so you have to keep your nose clean when there's a title on the line." The third protagonist, Adam Jones, has punched above his weight all year. After only getting their hands on their SEAT Leon 24 hours before the first qualifying session of the season, Team Air-Cool, with their car run by GR-Asia, have been awesome this season. Running on a miniscule budget, Jones shocked the paddock by taking an overall podium finish at Rockingham, and then underlined his growing reputation in tin-tops by leading the Independents championship for the first half of the season. A poor showing at Snetterton, though, and the growing momentum of the BMWs (including the Motorbase machines of Steven Kane and Rob Collard) has set him back since then, even if two podiums at Silverstone were an indication of his excellent wet-weather form. At 40 points behind Turkington, he will find it difficult to take home the trophy, not that it will stop him trying.